What is SV100 Epoxy Coving Mix? 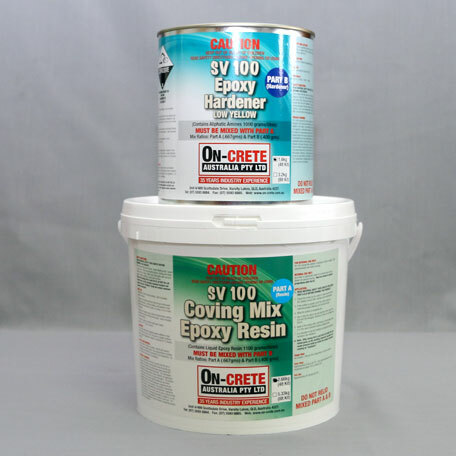 SV100 Epoxy Coving Mix is a specially formulated epoxy paste designed to form floor to wall coving. 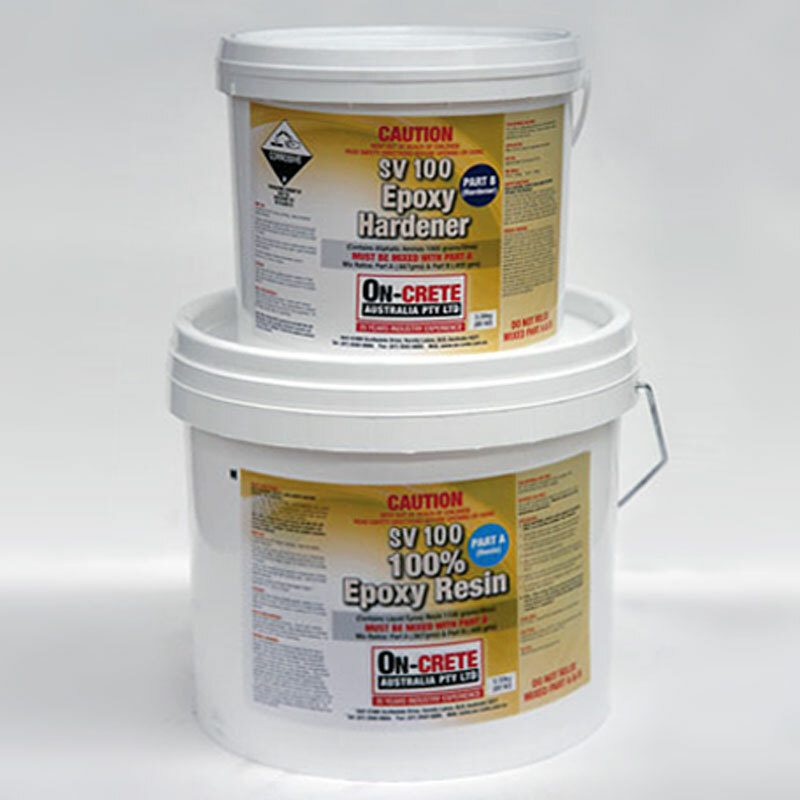 The SV100 Coving Mix is a 100% solids two pack epoxy system free from solvent and water. Areas to use SV100 Epoxy Coving Mix? SV100 Epoxy Coving Mix is used prior to applying a decorative epoxy coating where state or national regulations such as the Food Premises and Equipment Standard 3.2.3 require coving between the floor and wall. Due to the SV100 Epoxy Coving Mix's very high viscosity and paste like properties it also is commonly used for patching. Technical Data Sheet for SV100 Coving Mix.